Mediterranean theme guides Egyptian development. 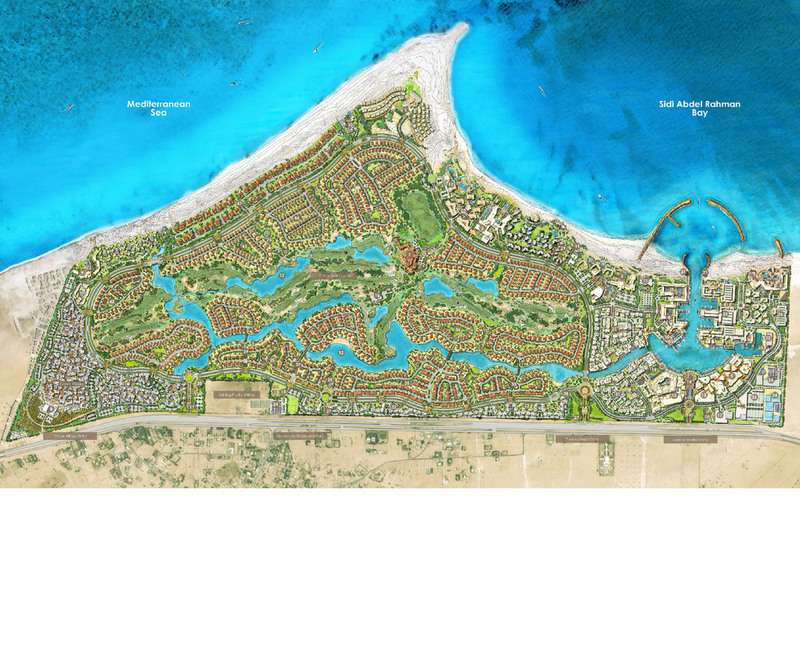 The south coast of the Mediterranean Sea in Egypt is the scenic location of this 500 Hectare community, with neighborhood themes inspired by mediterranean regional styles. LANDinc was the lead designer of all landscapes including 3.5 km of beach front property, 4km of canal waterfront property, 15 neighbourhood parks and plaza, a community center and special community gateways. A variety of neighborhoods make-up the fabric of the community each with its own unique relationship to the landscape and the sea. LANDinc further developed over 25 km of streetscape and developed the design of 6 vehicular and pedestrian bridges. The Greek Village is one part of the community that was developed to accommodate over 1000 units within the existing topography. The neighborhood includes transitional levels and spaces that vary from a public pedestrian plaza, and corridors to private courtyards. It includes a rich program of alleyways, pools, and playgrounds. Pedestrian oriented in nature the development is comprised of geometric buildings arranged in clusters, that create individual neighbourhoods. LANDinc identified thermal comfort zones with the use of biophysical data and special modeling. Neighbourhood identities were also further developed at a finer detail to enhance the character of the outdoor living experience. This project was coordinated with a multi-disciplinary team and LANDinc carried the first phase of the community through to construction, a process which includes the building of an iconic gateway, neighbourhood parks and community streetscapes.